Beautiful and practical kiln fused glass cooker/sink/shower splashbacks created to enhance and complete that kitchen or bathroom makeover. Wipe clean single panels up to 1m x 2m, no grout lines or fading of colours. Each piece made bespoke to your living space as subtle or zingy as you like! A matching feature lighting lamp range or statement homewares selection will compliment the look and feel you are creating. Who is LDL? LDL are purveyors of high quality furniture components, our products are designed for life, carefully considered and engineered to last. We like to think differently and place our customers at the heart of every decision. Consistently seeking to develop and improve the service we offer, always striving to make things simple. From Blum furniture fittings and Furnipart handles to PEKA storage solutions and WESCO waste systems, we’re passionate about high quality components. We only select trusted brands which are guaranteed for life. There’s a reason why we’re currently supplying most of the fitted furniture manufacturers around the UK. Our pledge? We won’t let you down. Nationwidebathrooms.com has been selling bathroom products & radiators online throughout the country and into Europe since 2005, we specialise in supplying the latest quality branded bathroom & heating products at the most competitive prices including showers, bathroom suites and shower enclosures as well as heated towel radiators and designer taps. Our online shopping business has serviced over 50,000 satisfied customers during the last six years, including domestic retail customers as well as architects, developers, builders and plumbers, we have a large number of regular clients and interior designers that we work along side with to help create their desired solution. Supplying everything you need to create a refreshing bathroom experience well within your budget. You really can save money and buy the best quality bathrooms and showers from Nationwide Bathrooms. We pride ourselves on providing outstanding bathrooms and showers at the lowest UK prices. Inter Ceramica started from a small retail unit in Harrogate, today the company has expanded to have further outlets across Yorkshire, displaying exclusive bathrooms and kitchen designs as well as Italian porcelain tiles. With our offering of designer bathrooms, Nolte German kitchens and the finest Italian porcelain tiles, we can create a truly unique package for your project. With a team of specialist designers and staff with a wealth of industry knowledge, we can help develop your ideas to create your dream space. Welcome to Bottle Alley Glass – what do we do? Well we make products from 100% recycled glass, and what’s really great is we don’t add anything to it. So you can recycle it again when you’ve finished with it! 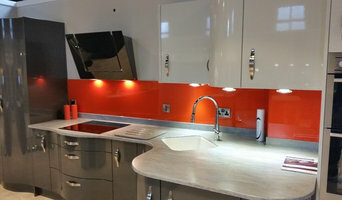 Not that we think you will want to, our unique hand-made designer kitchen splashbacks, worktops, tiles and lighting panels are so beautiful you’ll just want to keep them. Our products are great to add something different to your home. 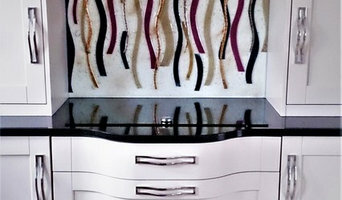 We also work with interior designers, architects, project managers and property development businesses. So whether you are buying for your home or a client you can be assured of 100% professional customer service. Why use recycled glass, well the obvious benefits to the environment can’t be ignored, it also ticks boxes as an SKA rated product but on a practical note it is hard wearing (as hard as granite) durable, waterproof, stainproof, eco-friendly and unique so it really does tick all the boxes. The coloured glass splashbacks become a focal point of the kitchen. Heather Johnson Home Interiors are based in Harrogate North Yorkshire but also cover York, Leeds, Wetherby, Skipton areas. Our team specialise in the Design and supply of fully fitted bespoke, handmade traditional kitchens and bedrooms. We also have a wide range of modern & contemporary designer kitchens, utility rooms, boot rooms & home offices to suit all budgets. We also design & supply a wide variety of Designer & specialist bathrooms including, wall & floor tiling, floor coverings such as laminated & engineered timbers. Our project management service covers the joinery and fitting installation, plumbing, electrical, tiling, plastering, decorating and soft furnishings if required. Each project we undertake is unique and we work very closely with our customers to achieve the perfect design & supply solutions for their needs & wish lists. Creating individual, affordable & desirable modern or traditional quality interior solutions for all our clients across Yorkshire. Contemporary Cabinets can transform any room of your home, offering tailor-made kitchens and furniture bespoke to your everyday needs and suited to your style. Ross is a highly skilled cabinet maker with over 15 years of craftsmanship experience and will see your job through from the initial consultation to the installation himself. He is happy to visit and offer advice on the design and layout of your proposed kitchen and provide outline drawings with no obligation. His workshop is in Harrogate with a showroom on site. Ross' attention to detail and traditional joinery methods ensure his bespoke furniture is of the finest quality. We highly recommend you visit our showroom to see for yourself the quality of his work. We are an independent bathroom & furniture retailer established for over 50 years. Based in Greater Manchester we have a large showroom as well as an online store. We have some of the big brands such as Frank Hudson, Bauhaus, Dimplex, Crosswater, Roper Rhodes, Serene & Laura Ashley, Novellini, Simpsons, Merlyn, Gallery Direct, Relaxateeze, Franke, Royce Morgan, BCT, HIB, Lakes, Vitra... to name a few. German kitchen manufacturer, bespoke contemporary , Glass , stone , concrete , book matched veneers, , and RAL option paint finishes . Majorelle Interiors aim to provide our design savvy customers with the most interesting products on the market. We source our products all over the world bringing the best in style and design and making these accessible to you. We seek out the unusual, the classy, the statement brand and believe that everyone should be able to get their hands on affordable high-end products. Welcome to Kastner Kitchens HELLO. COME ON IN. Welcome to Kastner Kitchens located in the bustling market town of Ilkley, on the doorstep of the Great Yorkshire dales. Our business expertise is based on over a quarter of a century’s experience in the bespoke design industry. We've worked in over nine countries and serviced all manner of innovative and creative designs, which we believe gives us the tools to help you decide on the kitchen of your dreams. Of all the kitchens we have been exposed to in our working travels, we feel that German Kuhlmann and British Ultima & 1909 are the finest in terms of craftsmanship, practicality, sustainability and aesthetics. They best match our philosophy, which is that the kitchen is as a space of solitary comfort or joyful togetherness. It is time well spent creating memories. It is overall, a well-designed experience that leaves an immediate impression each time you enter it and a lasting one each time you leave. 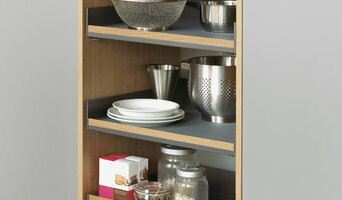 This is what we promise to deliver with a bespoke kitchen from Kastner Kitchens. All you have to do now is come on in to our studio and let us start crafting the kitchen (or bathroom) you always wanted, at a price you never expected. One of the great things about owning a home is that you can make changes to the fixtures and fittings in your bathroom and kitchen. With the help of Leeds, West Yorkshire kitchen suppliers and bathroom fittings professionals you can have all sorts of fixtures, fitted kitchens and styles of bathroom fittings installed in your home, from power showers, spa baths and copper taps to bespoke glass splashbacks and boiling water taps for your kitchen sink. You can discover Leeds, West Yorkshire bathroom and kitchen showrooms and suppliers that will offer a range of fitted kitchens, bathroom suites and various fixtures for you to choose from, or talk to a kitchen or bathroom professional that can design and install a bespoke fitted kitchen or bathroom based around your needs and style. What should I hire a Leeds, West Yorkshire kitchen and bathroom fixtures specialist for? Whether you are doing up a house you’ve moved into or you want to update your bathroom suite or fitted kitchen, working with a Leeds, West Yorkshire kitchen and bathroom fixtures specialist will be extremely helpful. Even if you want to source your own fitted kitchens and bathroom fittings from bathroom and kitchen showrooms, unless you are a skilled craftsman someone will have had to make the fixtures and unless you are a plumber you’ll probably need some help with installation! On Houzz you can find kitchen suppliers, manufacturers and installers of fixtures and fittings in Leeds, West Yorkshire to help with all aspects of the process. In the kitchen you can change more than just the sink and taps. Even without ripping out all the fitted kitchen units, you can still have bespoke kitchen doors made to replace the old ones and worktops laid over old surfaces or replacing them entirely. Instant boiling water taps, waste disposal units and induction hobs are just some of the gadgetry and convenient fixtures that are available for fitted kitchens from kitchen showrooms and suppliers. 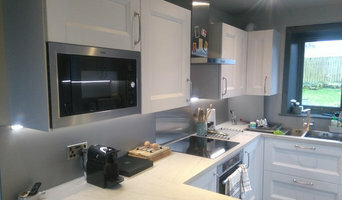 Take a look at the Leeds, West Yorkshire kitchen suppliers listed on Houzz to find out the sort of fixtures and fittings they offer. A bathroom isn’t a bathroom without its plumbing fixtures and good bathroom fixtures can make or break a home when it comes to selling potential. Take time to pick out bathroom fittings that work together; you can opt for a whole bathroom suite from a bathroom showroom or bathroom installer, but if you don’t want the overly matching look, a Leeds, West Yorkshire bathroom fittings specialist can help you choose individual but complementary pieces. Power shower installation can boost the appeal of your bathroom (no one likes a weak shower) and extra special features like his and hers sinks, shower body jets and roll top baths will give your bathroom style that added oompf. If you can’t stretch to extravagant bathroom fixtures you can still talk to a fixtures specialist about electric shower installation or installing a new toilet; it may seem like a lot of hassle at first, but when you leave it to a professional, all the hassle is taken off your hands. Many Leeds, West Yorkshire kitchen and bathroom designers will install or offer help with your fitted kitchens, bathroom fittings and fixtures, so if you want an all-in-one renovation service, you can contact these professionals on Houzz as well. Talk to kitchen showrooms, suppliers and bathroom stores to see if they offer their own installation service or can recommend a local Leeds, West Yorkshire installer for you. Here are some related professionals and vendors to complement the work of kitchen & bath fixtures: Kitchen & Bathroom Designers, Kitchen & Bathroom Fitters, Interior Designers, Cabinet Makers. Find kitchen or bathroom fixtures and fittings manufacturers on Houzz. Check out Leeds, West Yorkshire fitted kitchen showrooms and bathroom fittings installers on Houzz. You can also look through project photos provided by Leeds, West Yorkshire kitchen suppliers, bathroom renovators, showrooms and designers to find fixtures you like and contact the professional who installed them.